Noted for: Creations inspired by the traditional notion of “Dai Pai Dong,” (street food movement), they have created a comfortable and casual gathering place for friends and family to enjoy honest Asian comfort food. Menu spans countries: Thailand, Malaysia, Korea, Indonesia, Hong Kong and China! Noted for: Serving classic Irish faire and American comfort food. Not your traditional Irish Pub! Scratch kitchen and 60 beers on draught! Signature dishes include Irish Nachos, Fish’n Chips, Braised Short Ribs, Branzino, Rack of Lamb, and creative Pork Chop creations. Noted for: Being a chic, modern wine bar offering tasting flights, artisan pizzas, small plates & cheese & charcuterie boards. Features a large selection of boutique wineries from California and Italy. 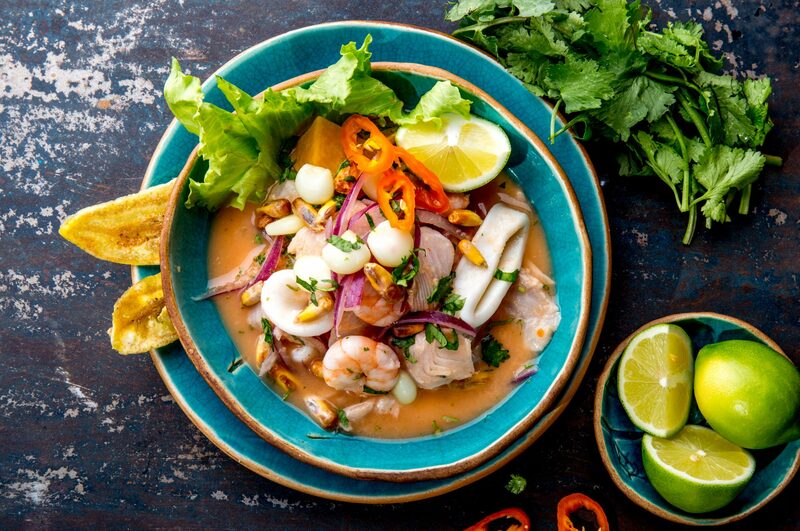 Noted for: A range of Peruvian-inspired dishes, from a traditional Papa a la Huancaina and fresh Ceviche, , to a luscious Pollo a la Brasa, Lomo Saltado, Arroz Chaufa, Arroz con Mariscos and more. This year the restaurant’s new chef, Chef Guillermo Hung, presents a six-course menu that will delight diners! Noted for: Uni Pasta, Charred Branzino, Caribbean Seafood Ceviche, Asian Cajun oysters, crab, grilled fish, and U.S. prime beef! Sunday brunch with bottomless mimosas and daily happy hours. Noted for: The menu, which features beef brisket, pulled pork, St. Louis style ribs, polish sausage, spicy cheddar sausage, smoked turkey, and marinated chicken, with an extensive array of homestyle sides from jalapeño beans to macaroni and cheese. Buttery rolls are served with every meal along with complementary ice cream. And just like always, kids eat free on Sunday. Noted for: North Beach Cioppino, Linguini and Clams, Pan-seared Tilapia, Mac’n Cheese, Pasta Bud, artisan pizzas and more! Noted for: Innovative and tasty burgers, tacos, barbecue, and more! Plus a diverse selection of ales and lagers. Noted for: Hot Wings, NY Style Pizzas, Philly Steak Sandwiches, Gourmet Burgers, Salads, Desserts, and much more. Noted for: Fresh and unique dishes served in the daily lunch buffet ($12) and champagne brunch ($15) on Sundays, some of which are not on the menu. Over 25+ vegetarian options and many non-vegetarian options for everyone. *Menu to be posted soon!